Health Insurance or Mediclaim insurance is a must-have for all. Considering the rate at which medical costs are rising, it is very important to have sufficient medical insurance coverage. Absence of health insurance may wipe out your savings. Having sufficient coverage will safeguard you and your dependents from getting into financial crisis during hospitalization or critical illnesses’ treatments or accidents. Besides medical coverage, health insurance plans can provide Tax benefits to you. In this post, let us understand the Tax deduction benefits that are available for Health Insurance (or) Mediclaim plans. The premium paid towards medical insurance is tax deductible under section 80D (u/s 80D) of the Income Tax Act, 1961. Health insurance premium paid for Self, Spouse or dependent children is tax deductible upto Rs 25,000. Earlier the limit was Rs 15,000 and this limit has been increased to Rs 25,000 in Budget 2015-2016. If any one of the persons specified is a senior citizen and Mediclaim Insurance premium is paid for such senior citizen then the deduction amount now is Rs. 30,000. From Financial Year 2015-2016, this limit is increased to Rs 30,000 from Rs 20,000 (applicable in FY 2014-2015). Health Insurance premium paid for parents is tax deductible upto Rs 25,000. If your parents are senior citizens (60 years and above) then the maximum allowable deduction is Rs 30,000. Below table shows you the quantum of tax deductions applicable on health insurance premiums. The below limits are applicable for Financial Year 2017-2018 (or) Assessment Year (2018-2019). Example 1 : Mr Reddy (30 years) has employer’s mediclaim coverage. He pays Rs 8,000 as premium. The coverage is applicable for Mr & Mrs Reddy and their son. He has also included his parents (father 55 years & mother 52 years) under his employer’s medical insurance scheme. For parents coverage he pays Rs 16,000. He wants to know how much he can claim as total tax deduction under Section 80d? Since no one in the family has attained 60 years of age, Mr Reddy can claim a tax deduction of Rs 24,000 (Rs 8000 + Rs 16,000). Example 2 : Mr Gupta (45 years) is a self-employed person. He has taken Health insurance plan and pays a premium of Rs 26,000. He also pays Rs 31,000 towards his parents’ coverage ( his Father’s age is 62 years & mother’s age is 58 years). What is the total tax deduction application in his case? Premium amount can not paid in cash. Mode of payment can be anything (through credit card, net banking etc.,) except cash payment. Preventive health checkup (Medical checkups) expenses to the extent of Rs5,000/- can be claimed as tax deductions. Remember, this is not over and above the individual limits as explained above. Example – Mr Mehta (65 years) has mediclaim policy and paid Rs 25,000 as premium . He also spent Rs 6,000 towards health check-up. He wants to know what is the total tax deductible amount? Since he is a senior citizen, the medical insurance premium to the extent of Rs 30,000 can be claimed as tax deduction under Section 80D. Even though he incurred Rs 31,000 ( Rs 25 k + 6k) as expenses, he can only claim tax deduction to the extent of Rs 30,000 only. Budget 2015 : Deduction u/s 80D on health insurance premium will be Rs 25,000, increased from Rs 15000. For Senior Citizens it has been increased to Rs 30,000 from the existing Rs 20,000. For very senior citizen above the age of 80 years, not eligible to take health insurance, deduction is allowed for Rs 30,000 toward medical expenditure. Do not get confused between your medical reimbursement allowance and mediclaim expenses. Medical allowance is provided by your employer. It is part of your employment agreement (salary structure) between your employer and yourself. You can get medical allowance upto Rs 15,000 as an exempted income from your Gross salary. To claim this, you need to submit medical bills to your employer and get the allowance benefit. The medical reimbursement allowance is exempted under Section 10 of the Income Tax Act. (Continuing with Mr Mehta’s case, Mr Mehta incurred Rs 6000 as medical check-up costs. Upto Rs 5000 can be part of his tax deduction under Section 80d as mediclaim premium and the remaining Rs 1000 can be exempted under Section 10D as medical allowance provided he is employed). If your employer provides medical insurance then in most of the cases it is automatically included in your Form-16. If you have independent mediclaim policies (or) you hold medical insurance plan as a self-employed person then do not forget to claim tax deductions. Show your medical insurance premiums under Section 80D while filing Income Tax Returns. The premium paid by Senior citizens on Health Insurance policies of up to Rs 50,000 (current limit is Rs 30,000) can now be claimed as tax deduction u/s 80D for FY 2018-19. The Standard deduction of Rs 40,000 will be provided for all salaried individuals in lieu of Transport and Medical re-reimbursement allowances from FY 2018-19. I have taken a family floater group insurance policy including my parent ( Self + Wife + 2 kids and father). I have not received premium of individual member and have paid a total premium of 26000 for one year. How the calculate the premium amount of parent for income tax purpose. I believe that you can claim tax deduction of up to Rs 25k only. Family floater plans are linked to the age of the eldest member of the family and higher the age, higher the cost of the premium. Hence, in such cases a floater health insurance policy may not be the best option for families where the eldest member is over 45 years. Hence, it is advisable to buy separate Health insurance plan for Parent(s). Tax saving under section 80D for paying medical insurance premium can be taken for both self and parent (senior citizen) policies which may not be possible if parents are covered in a single family floater policy. Thank you for your immediate response. As I have already taken the policy, can i divide the premium equally amongst the number of members and proportionately consider the premium of my father. For eg: 26000/5 = 5200 and consider this amount against premium paid for father’s mediclaim policy. Is this valid as per Income Tax Law. Hi Sreekanth, I have paid around 40k towards my dad’s medical checkups+medicine in Cash in A.Y 2018-2019. He is senior citizen and currently doesnt have any insurance. Can I claim this amount for deduction under any section? Also, Do I need to submit bills for this expenditure anywhere while claiming deduction? For senior citizens above the age of 60 years, who are not eligible to take health insurance, deduction is allowed for Rs 50,000 towards medical expenditure, u/s 80D (subject to overall threshold limit). For senior & very Senior citizens above the age of 60 years, who are not eligible to take health insurance, deduction is allowed for Rs 50,000 towards medical expenditure. I believe that your father can avail the tax exemption. I am a retired Govt officer in receipt of pension. For FY 2-17-18, can I claim a deduction upto Rs.15,000/- u/s 80DDB on account f medical expenses ? As I am retired, “employer” is no longer there. So, do I have to submit any bills/documentation to IT Dept in support of my claim ? Tax deduction u/s 80DDB is permissible in case of certain ailments only. To claim Tax deductions under Section 80DDB, it is mandatory for an individual to obtain ‘Doctor Certificate’ or ‘Prescription’ from a specialist working in a Govt or Private hospital. Dear maria ..Yes, you can just claim the premium amount in ITR u/s 80D. I have employer’s mediclaim coverage for which I pay Rs 3,795/- for me, my wife and my children. Recently I have added my parents (both senior citizen ) in the employer’s mediclaim coverage and I am paying Rs 22,922/- more for them. Also I have a mediclaim policy from outside and I pay Rs 22,000/- for the same which covers me, my wife and my children. Could you please confirm how much amount I can claim for deduction under 80 D? 30,000 /- or 47,922 (25,000 + 22,922) ? As per my employer I can only claim for 30,000/- as there is no policy on my Parent’s name . I am a retired employee from a private company. I am aged 70 years. I have no medical insurance policy. I have undergone treatment for cataract with IOL surgery in May 2016 with total expenses of Rs.30,000/-. Can I claim deduction of this expenditure in my I..T return for AY 2017-18 (FY 2016-17)? Dear Satyanarayana ji..There is no provision to claim your expense as tax deduction. For very senior citizen above the age of 80 years, not eligible to take health insurance, deduction is allowed for Rs 30,000 toward medical expenditure. 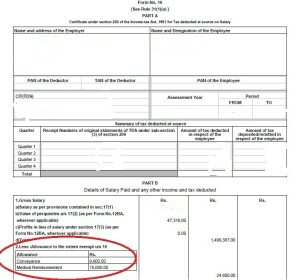 Could you please explain what will be the tax exemption amount for the below case. Mr Reddy (30 years) has employer’s mediclaim coverage. He pays Rs 18,000 as premium. The coverage is applicable for Mr & Mrs Reddy and their son. He has also included his parents (father 65 years & mother 62 years) under his employer’s medical insurance scheme. For parents coverage he pays Rs 26,000 extra. He wants to know how much he can claim as total tax deduction under Section 80d? He can claim Rs 44,000 (Rs 18k + Rs 26k). For Claiming tax benefit for my parent U/s 80D. I can take insurance directly in my parent’s name or i should be the primary insured person? Dear Suresh ..The policy can be in your parent(s) name, you can pay the premium and also can claim tax benefit. My Father is a senior citizen and has taken a medical insurance through his credit card for him and for my mother. I usually pay the credit card bill. Can I claim his insurance in my 80D section ? Dear Sameer ..I believe that you can claim tax benefit. I had paid medical treatment exps for myself rs-15000 and for my parents rs-20000, under which section i can take benefit. Dear Mohd..You can claim them under section 10 by submitting the bills to your employer. Dear Mohd ..You can claim medical insurance premium paid and/or expenses incurred for health check ups u/s 80d. If you have claimed medical allowance u/s 80d, then it is incorrect. I have paid for a health insurance on 25th of march 2017, can i claim it in next financial year ? or should i have to claim it in the current financial year itself ? It is applicable for FY 2016-17 only. I am a Retd. PSU Bank Official and drawing monthly Pension. Group Mediclaim Policy of United India Insurance Co. Ltd. has been taken by Indian Banks Association (IBA) on behalf of all Indian PSU Banks for both serving employees & ex-employees. Whether Premium under this Policy deducted from my Pension Account by my Employer Bank is deductible u/Sec 80D? I believe that you can claim the premium paid u/s 80D. Dear Anu..Are you referring to Medical allowance? If yes, then can be submitted. Dear MOHAN …Are you or your parents covered with any Medical insurance cover? Sir, whether the expenditure, incurred for the purpose of Medical Treatment by the Single Son of a ailing, senior citizen and widow mother, is liable to get Tax deduction? Read: Income tax deductions list. I have bought a medical insurance policy for 3 years and have paid consolidated premium amount for all three years coverage. Now I need to avail tax benefits under 80/D. Insurance company won’t provide each year premium. Pls suggest me how to proceed. Dear Kumar..Yes, you can claim only one time, in the FY in which you paid the premium amount. towards preventive health checkups as I paid the same in cash. Dear Vasudeva Rao..Yes, you need to keep them for future use (if any). I have not taken any Medical Insurance .My company has asked me to provide the Insurance ?Investment details .As i have not taken any Insurance it is possible for me to take a new one and claim it during this FY itself? Yes, it is possible dear Parameswar. Test referred by as ‘self’ also should be fine. As the assessment has been done, you can REVISE your ITR now. Yes, you can claim up to Rs5k for AY 2017-18 also. I have a medical insurance (Cashless mediclaim). The medical premium is eligible under section 80/D. Can I also show medical bills for tax benefit under section 17(2) of income tax act? Dear Nikhil..If you receive medical allowance, you can submit the bills to your employer and can claim tax exemption up to Rs 15k pa.
Dear Thobbi Ji..I believe that they are tax-exempt. Dear Anil..What is Fixed health plan? SIR , I HAVE NOT ANY HEALTH INSURANCE POLICY . CAN I CLAIM MEDICAL CHECK UP upto RS 5000/- as tax rebate. for this rebate health premium is neccessary or not, and can i show this medical expenses in cash recipt ? Yes, you can claim up to Rs 5,000 towards health check-up expenses, even if you do not have any health insurance policy. @Sreekanth will that amount count in 80 C or 80D? Dear Pragya..its u/s 80D only. Dear Sreekanth. I am a government servant. I don’t get medical allowence as part of my salary. But my medical bills are fully reimbursable as per actual expenditure. What will be the tax implication in that case. For example in FY 2016 17 I got nothing as medical allowence as part of my salary. But I had incurred medical bills of 195000. I submitted the bills and got the entire amount reimbursed. How much tax I will have to pay and under which section ? If the reimbursement is not part of your salary as allowance, then it is completely taxable. My query is that how can i claim tax benefit when my Employer only accepts proofs of payments made for policies only in FY (April 2016 to March 2017). Is it only the payment that matters here irrespective of the coverage year or both have to match. Can i show proof of payment done in Jan and Feb 2017 for FY (April 2016- March 2017) which covers me from Feb 2017 to Feb 2018? Only the payment in the respective Financial year has to match, for claiming tax deduction. You can submit the previous premium receipt to your employer. In case, they do not accept it, you can pay the premium in Feb 17, and can claim it when filing your income tax return for AY 2017-18. My dad is a retired employee of a bank which offers a mediclaim policy for its retired employees and their spouses as a group policy. My dad has purchased this policy for himself and my mother. The insurance company has declined to provide premium receipts since its a group policy. How can I claim tax relief for this? Has the premium been charged? (or) is it a part of retiral benefit which is borne by your father’s ex-employer? It has been charged and paid for by us. If the premium has been charged and paid by you, you have the right to get receipt for it. I have mediclaim insurance with premium over 25000 for me, spouse and child (none over 60). The company provides mediclaim insurance as part of CTC (premium about 4600). This covers me, spouse, child AND MOTHER (age 70). How much deduction can I claim – 25000 or 25000+4600 or 25000+(4600/4)? You may have to get the premium bifurcation for your company group cover. IF it is difficult to bifurcate the premium in a floater a, it then relies on the IT officer to assess the case, if you claim Rs 25k + 4600. I have more than RS.20000 medical bill for this financial year. But as per rule I can only declare RS.15000. Please let me know whether I can claim that extra while E-filing. If yes then under which section. If you are referring to medical allowance, you can not claim the balance. Sir, I do have another related to conveyance allowance which is 1600 max per month. Do we need to submit bills for this too ? And, If we submit can this too be exempted from tax ? Dear Karthi ..Yes, conveyance allowance of up to Rs 1600 per month can be claimed, no bills are required. Dear Sir, I paid for my mother’s cataract surgery of which only a partial amount of 20,000 out of total of Rs.40,000 has been reimbursed by the insurance policy that I had opted for. Can I claim the tax exemption of Rs. 15000 (under section 17(2)) out of the remaining 20,000 amount which has not been reimbursed by the insurance Provider. If yes, then how would I furnish the original bills if asked for by my employer as the Bills are with the insurance company. If you get medical allowance as part of your salary, then medical reimbursement of up to Rs 15,000 can be claimed as exemption. You may request your insurer to provide you with copies of bills or return the original bills so that you can claim the balance amount with your employer. Hello Sir, Do you have any sample document that can be submitted to the corporate company, which can be submitted as the supporting documentary evidence against preventive medical health check up expenses claimed under section 80 D ? You can submit photocopy of of the bill paid towards health-check-up to your employer. Thank you Sir. Is this health checkup is interlinked to medical insurance premium or without taking any premiun also, whether I can make use of this. I would like to go for preventive medical health check up for myself and my spouse, parents. How much I am eligible to claim for each of them , during filing my tax? Dear Karthi..Without taking insurance also you can claim 80D if you have incurred health-check-up expenses. It is up to Rs 5k per family. I take my father for doctor check up every 3 months. 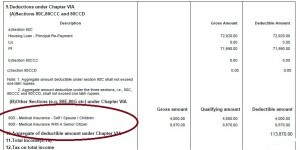 A receipt is given as Consultation Fee. Each consultation is charged Rs.500. Can i claim Rs 2000 (4 visits * Rs.500) under Preventive health check-up. If you believe that ‘doctor check-ups’ fall under this definition then you can claim tax benefit. hello sir,, i have a health insurence includes my parents (father-62 mother,55)for Rs.2162 paid by employer ,and no other medical allowances .I have spent 20000 /- towards my father health checkup and medical treatment.my self i have spent 10000/- towards health checkup and medicines.how much amount i can get under tax exemption. do i need to provide original bills to my employer. For claiming medical allowance, the ceiling limit is Rs 15,000 by producing original bills to your employer. You can claim premium paid and up to Rs 5,000 towards medical checkup under section 80D. Greetings for the day. First of all thanks to you providing solutions for the customers. At the end of the year i have forgot to submit the medical bills at my Employer. I have spent Rs.30,000.00 in that year, and also i have health insurance policy it covers Rs.5242.00 under 80D. If, now i want to file my IT returns. Can i able to add my medical bill’s amount under 80D? If yes, how much amount i can add. Can you please guide me. Have you filed your ITR in time? Even if it is a belated return/revised return, you can claim Rs 5,242 u/s 80D. But you can not claim the medical allowance. Dear Sanjeev..May I know who is paying for the premium? If I am to claim tax relief against premium paid towards my parents’ mediclaim what proof do I have to show to my employer/while efiling. You can submit receipt of premium paid to your employer. There is no need to submit any proofs along with your ITR. My husband (aged 62, and I am 60) has taken out a family floater policy(himself, wife, son, daughter) a few years ago in his name, for which he pays a premium of approx. 80K a year. Our son (salaried) now wishes to pay the premium and also avail of the tax benefit. 1. Can he pay the premium for this family floater policy even if it is in his father’s name, and avail tax benefit under section 80D? How much tax benefit can he avail under section 80D if he pays the premium? My son has his own medical policy for which he pays a premium of Rs.3000/- only. Can he claim a tax rebate on this under any section, separately? Can he also claim medical expenses (health check-up and medicines for himself and also his parents) in any way, under any other section? General suggestion : Most of the plans provide insurance cover for kids till they attain 18 or 21 years of age. It is prudent to buy individual health insurance plans from the same company and they can get the benefits of policy continuity. The premium on floater plans is dependent on the age of the eldest member in the group. 1 – Yes, he can pay the premium and claim the tax benefits. He can claim max Rs 55k (including his Rs 3k separate policy). 2 – He can claim medical allowance by submitting the bills from his employer for up to Rs 15 pa.The medical reimbursement allowance is exempted under Section 10 of the Income Tax Act. Thank you. However, in the family floater plan, my son and daughter, though above the 21 and 18 year age, are also covered. That is correct, isn’t it? I do understand your suggestion that the children should have individual health insurance in their names to get long term benefits. Thank you for this. From your table it shows tax benefit can be claimed as 35,000/-under section 80D. How does my son claim the remaining 20,000? Please do specify. It depends on the Plans Terms & Conditions (reg Kids’ age & coverage). As the health insurance premium is paid for self+Parents the max he can claim is Rs 25k + Rs 30 K.
I am 62 years old pensioner and also doing consultancy. My wife is 55 and working. I paid Rs 40,000 towards her medi claim policy. can I claim IT benefit for myself? Dear saurabh Ji..Yes, but subject to the above ceiling limits. Sir I am a disabled person with disability of 60%. i have mediclaim policy of INR 11879. Can I claim 75000/- under 80U and also 11879 under section 80D? Dear SATISH ..I believe that can claim both tax deductions. Our company provides group mediclaim insurance coverage for self, spouse & upto 2 children and it pays the premium to the insurer directly and not deducted from the employee. They gave us an option to include the parents and the premium for this additional coverage should be borne by the employee. I’ve opted for the same and my employer deducted the additional premium amount from my salary. 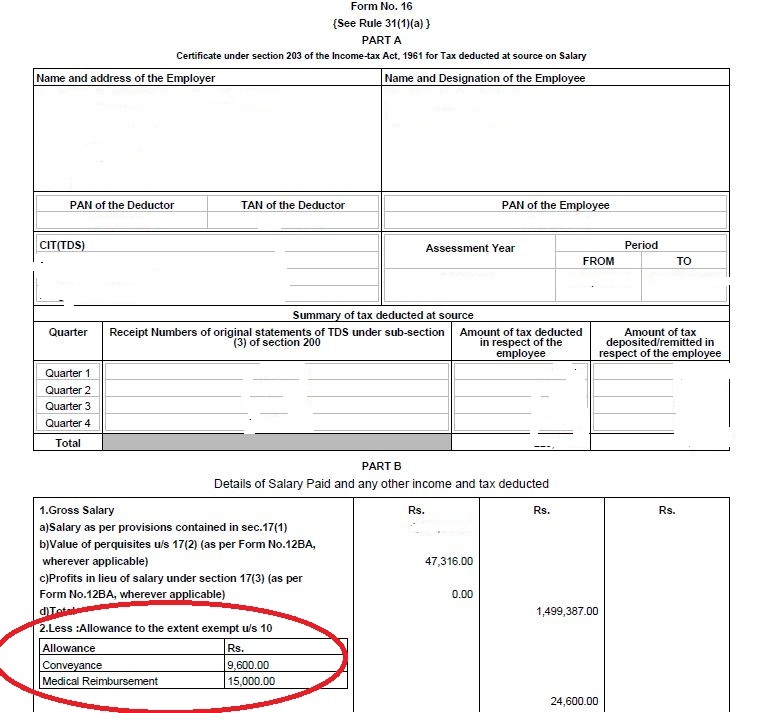 Will I be eligible to get tax exemption for that amount which is deducted from my salary? If yes, the insurance company didn’t provide any receipt or certificate for the same. Should I need to get any certificate or letter (if you have any sample certificate template, pls let me know) from my employer and submit it for tax exemption? Yes, you are eligible to claim the deducted amount u/s 80D. There is no need to submit any investment/expenditure proofs to the IT dept. If the amount is deducted from your salary, it is more than enough to be considered as a proof. Income tax declaration & investment proofs. Dear Sir, I am a retired bank employee covered by insurance policy with a premium of Rs.20000/-.My parents both above 80 years are not covered.What is the amount I can claim towards medical expenses for my parents and under what section.They are not assessees. For very senior citizens above the age of 80 years, who do not have health insurance, deduction is allowed for Rs 30,000 toward medical expenditure u/s 80D, besides your Rs20 k premium. I notice many health insurance companies are offering discount for paying 2 and 3 year premiums together, instead 1 year premium. If i pay 2 or 3 year premium how would be the tax deduction calculated. The receipt date would show a 2016 date, but the premium is paid for 2016:2017, 2017:2018 and 2018:2019. Can i claim tax deduction together this year itself as receipts dated 2016 may not be considered for tax benefit in 2017: 2018 or later. Once can claim the entire premium (subject to ceiling limit) only in the respective FY when the premium is paid and can not be claimed in the next FYs. Dear Dr Prakash..If you are paying medical insurance premiums on behalf of your sister or brother then you can not claim tax deductions. Dear prasad ..If you receive medical allowance from your employer then you can claim up to Rs 15,000 per annum u/s 10. My company has a group medi-claim policy in which self, spouse & children (2) are covered which is provided for free for all employees. As no extra amount is deducted from my payroll, I can not claim 25,000 tax exemption for the same right ? Also, there is an option for enrolling for voluntary Parent’s policy for which premium (including ST) is deducted from the employee payroll. But the total premium goes up to 46000 for Parents in the highest slab. Can I club the 25000 dependent tax exemption option along with the additional 30000 (senior citizens) under 80D so that I get the entire 46000 tax exempted ? Or I can only get 30000 tax exempted even if both my Parents are dependents and are senior citizens. Please also confirm whether the service tax with medi-claim premium paid is exempted under 80D or not. If no premium is paid then tax deduction can not be claimed. Service Tax should not be included. I’m salaried employee, single, I haven’t take any mediclaim/health insurance as such apart from Employer’s. I’m planning to take health/Mediclaim policy for myself and parents(as dependents). If i go with group policy covering all of us, would I eligible to apply for all amount covered in 80D exemption ( 25000 self + 25000 parents ) ? Or i should take separate policy for self and another policy for parents…? Dear Mohanraj ..You can take a floater plan and also can claim tax benefits (subject to aggregate ceiling limit). But suggest you to take stand-alone mediclaim policy for self and separate or family floater plan for parents. Read : Best portals to compare health insurance plans. hi, pls clarify the extra 5ooo that can be claimed for senior citizens wrt mediclaim can it also be claimed for super senior citizens? Dear sandhya ..Yes, can be claimed. Do note that you don’t have to submit any deduction or investment proofs to the Income Tax Department whiling filing ITR. Returns are submitted without attaching any files or physical documents. But you must keep them safely these proofs with you for 6 years, lest you receive an Income Tax Notice and the Assessing Officer calls for them. However, if you are employed then your employer might ask for Bills related to this. Father and Mother both senior citizen has seperate health policies for about 26000 each and can individually get deduction for 26000 each in their tax returns. In case I claim the deduction in my tax return, is it 30000 max or 52000? Dear Niti..It is Rs 30,000. 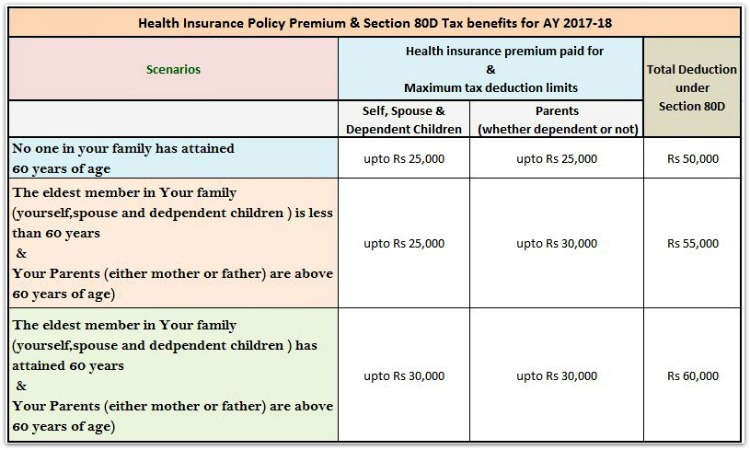 In case if you also have health plan in your name then you can claim up to Rs 25000 (self) + Rs 30,000 (parents, both put together). Medical allowance is not considered as an allowance for tax exemption and medical reimbursement is considered up to Rs 15000.Now my question is if my employer is paying me Rs 1250 per month as medical allowance will i be getting any tax benefits as it will be a taxable income. Secondly the amount mentioned by you i.e Rs 25000/- ,Rs 30000/- is for individual or does it constitute others as well. I mean to say for example Rs 25000 for myself then Rs 25000 for my spouse etc or its a sum total. 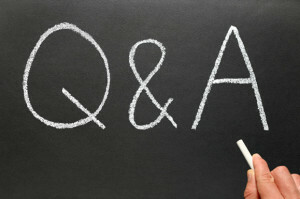 1 – Yes, if you submit medical bills and get the reimbursement. But my company CA says it is a fixed allowance(part of salary)which cannot be reimbursed.Medical allowance if considered as a salary part and is fixed monthly which goes in my pocket and it has nothing to do with my illness and there is no requirement of submission of bills but if the company follows a reimbursement policy where actual expense are incurred and submission of bills is mandatory then i can claim medical reimbursement. I also have doubt regarding the preventive health checkup.Is it in addition to Rs 25000+5000 or Just Rs 15000 as a sub limit and if i talk about senior citizen does it apply to them as well Rs 30000+Rs 5000 or Just Rs 30000. I am not sure about your company specific policies. Kindly note that Rs 5,000 is included in the individual’s ceiling limit. Preventive health checkup (Medical checkups) expenses to the extent of Rs5,000/- can be claimed as tax deductions. This is not over and above the individual limits as explained above. thxx a lot for clearing my doubt.I have seen in many payslips that they mention medical component as (medical)only and not as medical allowance or medical reimbursement.Do they have any specific idea behind it. Dear vikas ..It is medical allowance and can be tax exempt component if an employee produces original medical bills to the employer. I have paid income tax 17,000 this year.Kindly suggest me how to minimize this amount.I have no health insurance. List of income tax deductions for FY 2016-17. Tax treatment of various Financial Investments. I am currently showing approx Rs. 5000 p.a. as my insurance premium. Also I am planning to take a new mediclaim policy for me and my spouse starting on September for which premium will be around 15000 per annum. Under which section can i declare medicliam premium bills. Also I have already declared Rs.15000 as medical bills in investment declaration form and submitted to my employer. Please suggest. TIA. Medical premium under section 80D. My Employer is providing the group insurance for the employees. As part of CTC , medical insurance premium amount of 11k is mentioned , so employees paid the premium for the group medical insurance , Can the employees are eligible for Tax Exemption under section 80D of the income tax laws. Also provide me any link mentioning above so i can clarify with my employer. Dear Kunal ..Yes, you can claim tax deduction. May you please help me to understand that many of the company offering the fixed medical benefit plan in such cases what ever may be the expense company will pay the fixed reimbursement which may be more or less in the case if the person having such plan and incurred less expense than the reimbursemet so whether in the case person can get the tax benefit! I HAVE A SISTER WHO IS MENTALLY RETARDED. SHE IS BEING TREATED AT A A PRIVATE HOSPITAL BY A PSYCHIATRIST. UNDER WHICH SECTION I CAN CLAIM A DEDUCTION? 😯 DD OR 😯 DDB? FORM 10-I HAS MENTAL ILLNESS COVERED, BUT IS NO LONGER REQUIRED. FORM 10-IA DOES NOT HAVE MENTAL ILLNESS COVERED. SO , WHERE CAN I GET THE FORMAT? CAN THE PSYCHIATRIST CERTIFY IT? PLEASE EXPLAIN? I believe that mental illness / mental retardation is covered under Section DD. You can claim up to Rs 75,000 for spending on medical treatments of your dependents (spouse, parents, kids or siblings) who have 40% disability. The tax deduction limit of upto Rs 1.25 lakh in case of severe disability (80% or more) can be availed. Form For people having Autism, Cerebral Palsy or multiple disabilities, form number 10-IA needs to be filled up. There are two other formats for person suffering from mental illnesses and all other disabilities. As of now, even I am unable to trace out these templates. I think neurologist or civil surgeon can sign the forms, not sure if a Psychiatrist is eligible to provide the necessary certification. My employer doesnt give medical reimbursement under section 10. But i have spend 15,000 towards my medicine bills. 2 Or should i show my taxable income same as form 16 provided by my employer and show 15,000 in section 80 d.
1 & 2 – It is not allowed (if medical allowance is not part of your salary structure or if you have not submitted your medical bills to your employer during the Financial year). Yes dear neeraj.. . Health Check-up expenses for entire family i.e. self, spouse and dependent children is limited up to Rs 5,000. So, if she is dependent on you then you can claim this (subject to overall aggregate limit under section 80d). Hi Sreekanth, I have paid the medical insurance premium for myself, wife and son. But instead of me can my wife claim the tax deduction in her return though she has not paid the premium? Thanks, John. Dear John..If you have paid then only you can claim the tax deduction. I am retired Bank employee. For retired bank employees Bank is providing cashless medical reimbursement insurance(arrangement with UIICo) upto 400000 for me & my wife and I have paid lower premium of 2200 by debit to my SB a/c with the Bank. Can I claim this amount under S 80D. Dear PRADEEP ..Yes you can claim it. i have brought an single premium insurance in March 2014 which is for 10yrs. I have forget to include this in 80c excemption on 2014-15 assessment year and filed my returns. The premium amount I paid is still haven’t been claimed for excemption. Can I revise the 2014-15 year and claim refund now. (or) can I include In this assessment year 2016-2017. You can not include it in AY 2016-17. But can RECTIFY your previous ITR, if it has been processed. The assement for year 2014-2015 have been submitted on june 2014 and processed . Can i revise the same now. Is there any time frame that i can revise only within one year. Dear Raja..Let me correct my previous comment. If your return has been processed than you can not revise your income tax return. is service tax is deductible on medical insurance premium covered u/s 80D ? e.g. if i paid total premium 18000 (16000 premium + 2000 s.tax) then deduction will be 18000 or 16000? Dear nishant ..Its Rs 16,000. Dear Nalini ..Yes, both of you can claim ..
A mediclaim policy is in the name of my parents. However, i have made the payment of the premium for policy in my parents name. Am i eligible to claim the benefit u/s 80D for the premium paid?? Dear Anant ..Yes, you can claim the tax deduction. The premium paid towards health insurance policies for your parents qualifies for deduction under Section 80D of the Income Tax Act. I am a 48-year-old teacher and I had paid 8000 Rs. Medi-claim premium in the previous Financial year. I forgot to submit the premium certificate to an employer and in form no. 16 there is no entry of Mediclaim premium. While filing a tax return can I claim that amount in the 80D section? What have I to do now ? Please help. Yes you can claim it when filing your income tax return now and can get REFUND (if any) of taxes paid. Now, you can not claim medical allowance. Read: Income tax declaration & investment/expenses proofs. 2. what if i go to a normal physician and get tests done and buy medicine. i have receipts of both. 3. can i claim the benefit?otherwise without health plan? 1 – Without buying Medical insurance plan, you can only claim up to Rs 5,000 under Preventive Health care provision. 2 – That you can claim under Medical allowance. Kindly understand the difference between Medical Allowance Vs Mediclaim (section 80d).I have provided some points on this in the above article. I have mediclaim policy of 18,000 per annum to me & my family (spouse+ 2 children). In addition to this, i have paid another Rs. 70,000 for treatment to my wife (surgery) where insurance not covered. can i claim this amount as deduction under which section. If your employer provides you MEDICAL ALLOWANCE then you can claim it. Actually I am looking for term insurance along with critical insurance cover, pls suggest best available solution. My limit of Rs.1,50,000/- under 80 C is already done, hence looking forward to get benefit of Rs.25,000/- under 80 D. I am the oldest in my having, at present 49 years old. All this is required to secure loan of apporx 20 L in total. Kindly read: ICICI iProtect smart term plan – review. Even if i have not purchased any medical policy, am i eligible to claim deduction of rs.5000 under preventive health checkup???? Dear Madhur..Yes, provided you have actually incurred the expenses. I have incurred around 3500 but have receipts for 2500 only. Do we have to submit any reciepts? Dear Madhur..No need to submit any bills along with your ITR. Kindly keep them for your future reference..
1) Please elaborate on the correct DEDUCTION to claim MEDICLAIM u/s 80D. Should Service Tax @14.5% be also included in the deduction? There are conflicting views & after reading these I am quite confused. My Actual ptemium paud is around Rs 23,100 + Servuce Tax amounting to around Rs 1,500. Can I claim the entire amount of Rs 24,600 approximately? 2) My wife is not claiming any MEDICLAIM deduction under 80D in her ITR. Can she claim for medical checkups @5000×3 persons for ALL 3; Family Members namely herself, me and our adult/employed son who are both claiming MEDICLAIM Deductions individually? Are Bills payment proofs necessary to claim this deduction. We have not retained these and are not available. 3) I am claiming U/S 80D deduction of the BASIC MEDICLAIM coverage anounting to Rs 23,100. My adult/employed son is separately claiming for an additional ‘ SUPER TOP-UP POLICY PREMIUM amounting to Rs 21,000 from sane insurance company. He has a separate individual Receipt for the SUPER TOP-UP POLICY. Hope this is allowed. Please confirm. 1 – I believe that ST should not be included. 2- She can claim provided she submits the bills/medical reports. Expenses up to Rs 5,000 on preventive health checkups can also be used to claim a tax deduction (Its not 5000X3). I am a self employed, married with one son. My Father (Age 69), Mother (65) are retired. I m planning to buy a policy for health insurance for all of us. Policy is in my name with total 5 members. Can my father pay the premium and take tax rebate in section 80d. His age is 69. You may suggest your parents to take stand-alone mediclaim policies. And three of you, can take a Family floater plan. Best Health insurance plans for parents. Can i claim medical reimbursement (medicine, doctor consultancy, checkup, testing etc) even if am not employed or self employed. Dear Uday..You can claim medical tests etc under Preventive health care benefit. Are these separate policies (two independent policies)? If you are paying health insurance premiums of your in-laws then you can not claim tax deductions. However you can claim tax benefit on the premium paid on your spouse’s policy. Kindly note that your husband can claim tax deduction on the premium paid towards his mother’s policy. Sir, I had huge expenditure on medical bills this year…both on self and spouse. I would like to know whether I can claim tax benefits in both Section 10(2) upto 15000 and in 80D as preventive health Check up. If you are receiving Medical allowance in your salary – You can claim it. Preventive health check-up expenses also you can claim. Do you have health cover? Dear Madhu..Is it through your medical insurance group policy? Or is it allowance? I’m working in a IT firm and covered in group mediclaim policy from employer. 50% of premium is deducted from my salary (250Rs monthly). I’ve also taken a family floater health insurance from Max life (16,000Rs yearly). Can I claim premium paid for BOTH of them under 80D? Dear Neeraj..Yes, you can claim. I have a Medical policy and annual premium of Rs. 19867/-, renewal due in the month of March every year. On March 05th 2016 i hv renewed this policy for 2 years, as discount of 2 years premium offered by Insurance company, and I hv paid total premium of Rs.36,755/- for 2 years. Also note that, i hv mentioned single year premium i.e. Rs.19867/- on my Income Tax deceleration, as two years premium which i hv paid, in the month of March 2016, and deceleration has to be made before somewhere in October. Pls advise, can i claim 80D, rebate for next year also, as this premium paid for 2 years??? or else pls suggest. You can claim tax deduction only in the year in which you are paying the premium (subject to ceiling limits). You need to check out which option is effective for you- the discount or tax savings?? For example : For instance, if two 50-year-olds buy a floater health cover for two years for a sum insured of Rs 5 lakh, the primary policyholder will have to pay around Rs 29,400 for a two-year cover. Factoring in a tax deduction of Rs 15,000, the effective premium would come to around Rs 24,766, assuming the policyholder is in the highest tax bracket. However, for a one-year cover for the two 50-year-olds, the premium will come to around Rs 15,892 per annum, assuming the premium remains unchanged in the second year, too. At the end of two years, factoring in tax deduction in both the years on annual premium amounts, your effective premium would be Rs 22,514, about Rs 2,252 cheaper than the effective premium in a two-year contract. MEDICAL EXPENSE upto Rs.30,000 incurred for VERY SENIOR CITIZEN not having mediclaim policy is allowable U/S 80D. This is newly included. But does it fall under maximum allowable for Parents of Rs.30,000. Dear Keerthi..As mentioned in my previous comment the aggregate limit is Rs 30k only. Paid mediclaim for my family Rs.19,000 + mediclaim for parents Rs.31,000 (Dad is 60 tears completed) + incurred medical expense for grand Mother Rs.40,000 who is 90 years and has no mediclaim policy. Dear Keerthi..I believe that you can claim Rs 19k + 30k only. 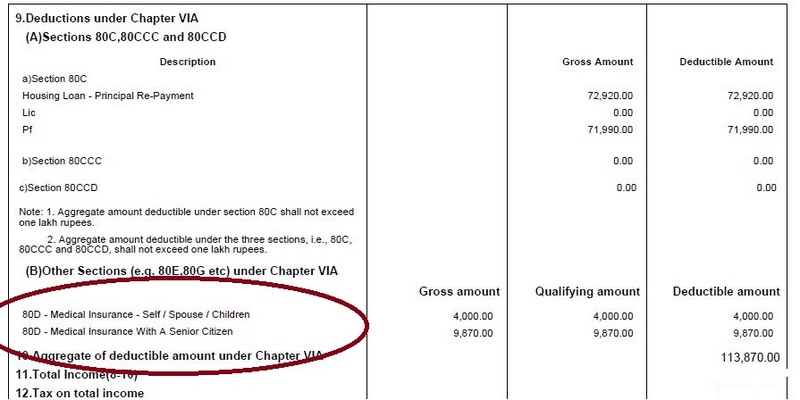 As the aggregate limit under section 80D for parents/Grand-parents is limited to Rs30k. I am below 60 years and has paid mediclaim insurance premium of Rs.19,000 for my family (Self, spouse and child). Rs.31,500 for my parents (Dad is 60 years completed mother 56 years). I have spent for medical expense Rs.40,000 for my grand mother who is 90 years old and has no mediclaim policy. Can I claim Grand Mother medical expense of Rs.30,000 who is 90 years old and has no mediclaim policy ? Today I have paid my premium for my Personal Mediclam policy. Basic Amount Rs. 6100 + Service Tax 15% ,(Rs. 915) Total amounting to Rs.7015/- As we are paying full premium amount including service tax (15%) for Personal Mediclaim policy to Insurance company, we are getting benefit of Rs. 6100/- i.e. basic amount under Income tax Act under Section 80D. As an individual we are not registered under service tax and unable to utilise the Service tax amount ,which is always a cost to an individual . Whether there is any provision for claiming of Service Tax amount / benefit to be taken in Income Tax Return under any section. Dear MANJ ..I believe that there is no such provision. Can you please clarify if taxdeductions u/s 80 D falls under the umbrella of 80 C whose upper limit is 1.5 Lakhs per annum. Dear mahesh..Couldn’t understand your query?? Tax deductions u/s 80d Vs 80c, both are two different sections. The aggregate limit u/s 80c is 1.5 Lakh. Just wanted to clarify that both of these are different sections and Section 80D doesn’t fall under sub-umbrella of 80C, which you have clarified. kindly refer the tax supplementary provided by ICAI. please don’t provide incorrect information . The given table need to be rectified. Request you to kindly point out the incorrect information, will surely correct the date (if required). Hope you are looking at the correct table, I have provided table for old AYs also. Is medical allowance reimbursement for 80+ folks, Rs.30,000 or Rs.15,000? From the financial year 2015-16,medical expenditure incurred by an individual or HUF on the health of a very senior citizen has also been part of Sec.80D deduction. However, the senior citizen must not have any health insurance. The limit is Rs 30,000. As i joined in dec month and they deduct amount in April current year month (for which i can not get benefit in income tax rebet), i received card in April and i did not get any benefit in any form. again they will deduct same money in Oct 2016 it means two times in a year. (i) Is it ok to cut salary two times in a year for same policy. (ii) Financial year is user define or there is any Govt. rules for the same. (iii) Without issuing any card is company can deduct the money. please suggest me the solution as authority just deduct the money without any satisfactory reply, their answer is it is rule . Was the deduction for the entire amount or in proportion to the applicable period ie April to oct only? Probably they may deduct again in Oct 2016 for the period Oct 2016 to Sep 2017. For the taxation purposes, the FY is 1st April to 31 March only. Dear SUMAN..When filing your Income Tax Returns, you can ignore showing this tax deduction in your ITR and calculate the tax liability accordingly. 1. Will the contribution of company towards my mediclaim premium add in to my gross Salary for tax calculation or not? 2. How much tax benefit I will be getting form paid premium? for full premium or only my contribution ? I believe that if it is part of your CTC, you can claim both (your employer contribution + your contribution towards the premium). 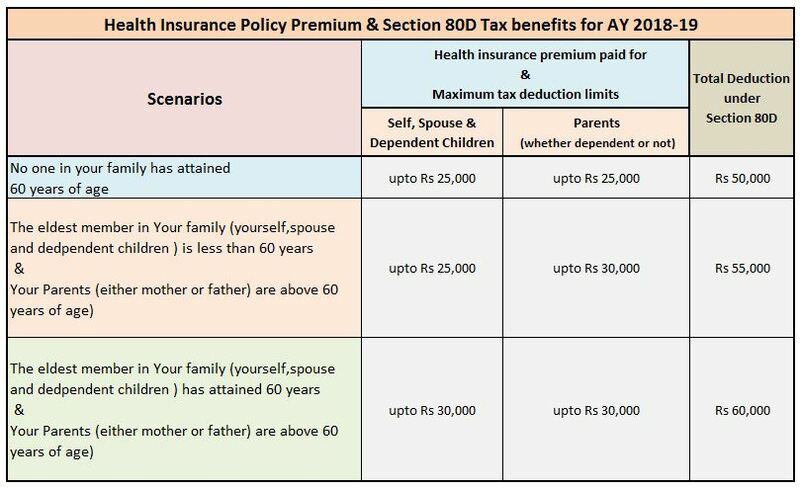 i m suresh, i want to ask if i take separate policies for me and my wife, then am i eligible to get the tax benefit u/s 80d for paying the premium for my wife’s premium? Dear suresh..YES, but subject to the overall ceiling limit (refer to the article). It is purposer not purpose in my below mentioned queries. Dear Rajnish..Yes, your spouse can pay the premiums from her taxable income and get the tax benefits. I have a family floter health plan where my self, my wife, and my daughter are beneficiaries and I am purpose there. Now that I am out of service and cannot pay the said premium can my wife pay the same and can claim tax benefit. I have one mediclaim policy in the name of my father and mother. Father age is 64 and mother age is 61. He paid the premium of Rs. 40000/- in March 2016. Now my question is can we claim deduction from their respective income tax files. Like 20000 from father’s income and 20000 from mother’s income. And also if the amount of premium paid from their joint bank account then how best way we can claim a deduction? If he has paid the premium and the source of income is his income, he only can claim Tax deduction u/s 80D. I bought a 2 yr Health Ins policy from Apollo Munich in FY 15. I cliamed only half of the premium amt towards tax benefit last yr, and claiming the other 50% benefit this FY. But this is being rejected on the grounds that the receipt is for FY15. Pls suggest if this is a valid ground for rejection. THe policy is in force till OCt-16. Dear Rahul..Yes, it is a valid cause for the rejection. as deadline was over for submitting income tax proofs in the company. if I submit the salaryslip in which insurance deduction is showed. If you have paid the medical insurance premium, kindly don’t worry, you can show the amount u/s 80d while filing your Income Tax Return. Kindly read: Investment proofs & Income Tax declaration. i have joined in a group policy for medical aid, arranged by a govt.bank under arrangement with an insurance co. and the premium paid by a cheque given on pension account and there is receipt for the same. 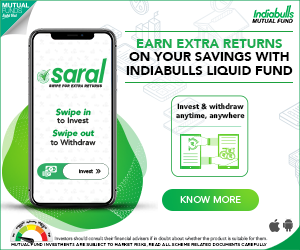 Can i claim rebate under sec.80d. thank you in advance and god bless you all. Dear venkata..Yes, you can claim the tax deduction (subject to aggregate limits). You may also check the taxation rules given in that group policy. I have bought a family floater plan under a group mediclaim scheme which includes me, my Dad and my Mom in a single policy. My Dad is over 60 years age while Mom is under 60 years of age. I have paid amount of Rs. 28765 for this policy. Also, I have one other policy for which I have paid Rs. 5800. In total how much amount comes under section 80 D? Dear Peeyush..I believe that you can claim the entire amount. Is it advisable to purchase two separate health insurance/mediclaim policiesfrom two separate companies (for myself+my wife+ my minor son)? Can I claim income tax deduction for the premiums of both policies together in same year? (My only idea behind purchasing two separate policies instead of a single policy for the entire amount is that in caseI have to use a policy for a small amount in a year, I willuse only one policy and can still get ‘No Claim’ benefit in the other policy, whwreas in case of a single policy for the entire amount, I will forego ‘No Claim’ benefit for the entire policyeven for a small claim taken). Yes, you can claim tax benefits (subject to the ceiling limits). I HAVE MEDICLAIM INSURANCE POLICY OF ORIENTAL INSURANCE CO LTD SINCE LONG BACK UNDER HAPPY FAMILY FLOATER POLICY. I HAVE PAID PREMIUM BY CHEQUE OF MY IN THE NAME OF CAPTIONED CO.
TILL LAST YEAR (FY 2014-2015),THE INSURED’S NAME WAS MINE. POLICY COVERED MYSELF (WORKING 56 YEARS OLD) ,MY SPOUSE (WORKING 55 YERAS OLD) AND MY SON (WORKING 26 YEARS OLD). BUT THIS YEAR (FY 2015-2016) WHEN I RENEWED THE SAID POLICY BY PAYING PREMIUM BY CHEQUE OF MY ACCOUNT. BUT I RECEIVED THE POLICY FOR FY.2015-2016 WITH NAME OF MY SON AS INSURED NAME AND OUR NAME AS DEPENDENT PARENTS. NOW LET ME KNOW THAT I CAN CLAIM TOTAL PREMIUM OF OF RS. 17428=00 (PREMIUM 15288=00, S. TAX 2140=00) UNDER SEC 80 D FOR FY 2015-2016. PLEASE GUIDE ME. THANKS A LOT. WAITING FOR YOUR REPLY ON MY EMAIL ADDRESS. The child should be dependent upon you. Employed children can avail this benefit on their income. Also, its better if your son has separate mediclaim policy. SIR IT’S OKAY FOR WHAT YOU SAID IN YOUR REPLY. BUT THIS YEAR (FY 2015-2016), THE PREMIUM OD MEDICLAIM POLICY IS DEBITED FROM ACCOUNT THROUGH CHEQUE OF MY ACCOUNT. THE QUESTION IS THAT WHETHER I CAN TAKE BENIFT OF UNDER SEC 80D THOUGH THIS YEAR INS COMPANY SHOWN ME AS DEPEDENT. As your son is not dependent on you, if you had paid the premium for a policy which covers your son then I believe that one can not claim the tax benefits. I have two mediclaim policies with me in which 1st policy covers myself, my wife, my daughter. 2nd policy i have it on my name. i Pay premium of Rs. 6085 + Rs. 1678. Can i claim both the premium under section 80 D? Dear Ramesh..Yes you can claim. Dear Harish..Is this amount reimbursed under your Group mediclaim policy? You can claim entire expenses as tax deduction u/s 80D. A small correction, you can claim Rs 10597 + Rs 7767 + Rs 5000 only. Hi, I had taken a health insurance policy for me and family in Dec 2014. The coverage period is 2 years ending on 2 Jan 2017. I had made the entire premium payment of Rs 24,075 through credit card and had repaid it through EMIs up to Dec 2015. Please advise whether I can avail deduction u/s 80D towards the payment and if so, how much. I believe that you could have claimed the entire payment (subject to aggregate limit) in FY 2014-15 itself. Thank you Sir. Does that mean I cannot avail the exemption for the same for FY 15-16? (1) I AM State govt. employee of Govt of Maharashtra…my age is 35 years..
can i also show to income tax department u/s 10. 1 – The entire amount (Rs 11,280 + Rs 15,543) can be claimed u/s 80d. 2 – If you do not receive medical allowance then you can not claim medical re-imbursement, as your employer may reject your request. I got my PF amount 88K withdrawn from my last company in august-2015. Do I need to show it somewhere? If yes, Where excatly can I show that while submitting my tax form? Under “OTHER INCOME”? Also, How shall I know that how much interest I earned on my total PF amount which would be taxable? If your contributions were for more than 5 years, then EPF withdrawal is tax exempted. EPF withdrawal & new TDS rules. I am salaried person and am covered under corporate mediclaim policy of 7.5 lakhs. I am planning to take a seperate health insurance policy of 10 Lakhs from Royal Sunderam Lifeline supreme. I am skeptical about the company service and sustenability. My ag3 36 M, Wifer 30, two kids 4 and 2 years. 2. no cap on room rent. 3. 5 succesive no claim years results in doubling the insured amount. since I am covered under official policy this will be useful after that. Effectively cover would be 20Lacs after 5 years and would remain there even if we claim from 6th year. This varies with other insurers where they reduce the sum insured to original. Do you recommend this insurer, and your comments on my understanding. If you are comfortable taking a health cover from Sundaram, suggest you to shortlist some other company’s plan. But kindly note that Indian insurance industry is well regulated one. You may visit this article and try to do some more research about other possible options. Read : Best portals to compare health insurance plans. My father is 69 years old and mother is 64 years old. Please let me know which health insurance policy shall I buy for them which will cover all diseases. Best Health Insurance plans for Senior Citizen Parents. Best websites for comparing medical insurance plans. Hi, I am salaried employee working in a IT company. Marital status – single. Under Section 80 D. can i claim exemption for medical insurance premium paid by my father(61 yrs) and mother (56 yrs). Kindly note that the Premium amount can not paid in cash. Mode of payment can be anything (through credit card, net banking etc.,) except cash payment. If you have not paid the premium, you can not claim tax deduction. I am working with MNC. My father undergone for eye surgery in dec 2015 which costed Rs 22k. Can I submit and claim this bill now under my Medical Allowances which is fixed 15k for tax exemption during FY 2015-2016 tax submission ? Does this company medical allowance covers medical exp bill for my parents, brother/sister? Please assist. Dear Nishant..Yes you can claim up to Rs 15k. You can submit the bills to your employer (suggest you to take a copy of the bills before you submit to your employer). I have laid medical premium in the year 2015 feb28 for the year 2015-16.. Now can I claim tax deduction in this year . Dear Lakshmikant..You should have claimed it for the FY 2014-15 or AY 2015-16. In case if you have paid or going to pay now in this month then you can claim that for this FY 2015-16 / AY 2016-17. As my company has asked me to submit the medical bills for tax exemption .As i have not kept any bills with me can i submit the bills of SBI Insurance & LIC which i am paying quarterly. Please advice & thanks in advance. Dear Parameswar..You can not submit Life insurance premium receipts to claim tax deductions u/s 80d. I am a salaried Govt. employee. My spouse is a housewife with no source of income. Recently she has gone for a Family health optima (star health insurance) plan (she me and our son are the insured one) with a premium of Rs. 12050/- (excluding service tax) which was paid by me. Can I get tax benefit under Sec. 80 D of IT act? Dear Akshaya..Yes you can claim the tax deduction. I have a query in relates to medical reimbursement. I have a bill of Rs 85000 and I claimed under mediclaim Rs 50000. Now can I submit the same bill for Medical reimbursement to avail exemption of Rs 15000. Dear Savi..You can not do so. Can you please tell me the reason why I cannot do?? If your Mediclaim company partly reimbursed you, you can then submit the original bill to your company for your reimbursement, If your Insurance Company returns all the original bill(s) to you. Medical expenses is not part of Mediclaim premium. Kindly understand the difference between Mediclaim & medical allowance, I have explained about this in the above article. You can claim Rs 22,880 u/s 80D. As you said one can claim tax rebate of up to Rs. 30,000 in case of Very Senior citizen ( Preventive Health Check up ) Expenses. Please Explain below scenario. My self salaried ( 45 Years) and my parents are Very Senior Citizens. I Spend around Rs. 25,000 for my parents Health Checkups and I had a policy of Rs. 15,000 and I spent Rs. 5,000 on my Preventive Health Checkups. What is the amount I can Claim. Kindly note that Preventive health checkup (Medical checkups) expenses to the extent of Rs5,000/- only can be claimed as tax deductions (including all the family members). You can claim Rs 20,000 only u/s 80d. However, Budget 2015 has proposed that as very senior citizens are often unable to get health insurance coverage and are therefore unable to take tax benefit under section 80D. Accordingly, as a welfare measure towards very senior citizens ,it is also proposed to provide that any payment made on account of medical expenditure in respect of a very senior citizen, if no payment has been made to keep in force an insurance on the health of such person, as does not exceed thirty thousand rupees shall be allowed as deduction under section 80D. I was out of work during that period hence could not reply to SHRIKANT DAMANI. My Reply is : Yes,he can claim 50% of the premium as it is deducted from his salary. I have bought a family floater plan which includes me, my Dad and my Mom in a single policy. Both Mom and Dad are under 60 years age. I have paid amount of Rs. 28765 for this policy. Also, I have one other policy for which I have paid Rs. 5000. In total how much amount comes under section 80 D? Let me know your age. It is advisable to have separate family floater plan for parents (considering their age & health profiles). You can claim Rs 5k + Rs 25 k = Rs 30k. Kindly note that you can claim tax deductions, provided YOU are paying the premium on a mediclaim policy. I pay a premium of 29942((includes ST of 3479 Rs) towards family floater policy which just includes me and my parents. What is the total tax deduction application in this case? It is advisable not to include an younger person in parents’ family floater policy. You can have taken a stand-alone plan. If your father has attained 60 years of age, you can claim entire premium amount (excluding ST). Now i have already paid premimun in this policy. Dear Nilesh..Rs 26,463 can be claimed. Recently my father was hospitalised and I claimed for medical bills with insurance company.The transaction was done.Do I have to do anything from my end to ensure the claimed amount is tax free from my salary? Also medical allowance once claimed witll be automatically taxt free or do I have to do anything for the same? Dear Ruchi..Claim amount received on health insurance plan is a tax free income. Nothing else to be done from your side. Recently I got Ill and claimed amount from my Employer tie up insurance company and transaction was successfull. Can I apply same bill under Medical Allowance Section 10? It is to be claimed in the year of payment ,whether it relates to 2 years or more .Deduction will be available in the year of payment only. My employer is paying medi-claim premium through Group medi-claim policy which includes our family. 50% of the premium amount is being deducted from my salary. 50% is borne by the company. Can I claim the 50% amount of the premium deducted from my salary under 80D, Please note I do not have any supporting as such like receipt of premium paid in my name, however the same can be incorporated in FORM 16, if claimable under 80D. Yes, you can claim 50% of the premium as it is deducted from your salary. I had a taken a medical illness policy in 2014. I paid a single premium of Rs.77826 and claimed the tax exemption of Rs.15000 in the last year. The policy duration is 2014-19. Shall I claim the exemption under 80-D in the subsequent amount for the remaining amount. Dear Anil..I believe that you can not claim the balance amount as tax exemption. I have 15k of medical insurance premium under 80d. I have also medical allowance of 24k. Can I claim that fully in ITR? Under which section we have to keep? I haven’t submitted medical reciepts to Employer yet. Medical premium of Rs 15 k can be claimed under section 80D. You can get medical allowance of up to Rs 15,000 as an exempted income from your Gross salary. To claim this, you need to submit medical bills to your employer and get the allowance benefit. The medical reimbursement allowance is exempted under Section 10 of the Income Tax Act. Dear Amanpreet..The maximum allowable limit is Rs 15k, so ITR will consider up to Rs 15 k only. I am Salaried Person In Private Organisation. In the Income Tax returns Medical Expenses Showing Under Sec 80 D .
The amount paid for medical benefit includes Service Tax. Which Section/Part will it be given. Please clarify my doubt and give the information by mail. Dear Krishna..Do not include service tax while claiming the tax benefit. Premium paid (exclusive of taxes) should be considered for tax exemption under section 80D. Isn’t the Entire insurance premium is eligible for tax deduction (inclusive of Service Tax) ? How Service Tax is excluded from Tax Exemption ? Only insurance premium is considered for claiming tax deduction. Service tax on premium paid can not be claimed Under Section 80D. Dear Pradeep…Yes you can claim tax benefits u/s 80d. I retired from Private sector and keep spending on my medical on various heads which are not usually covered in most of the policies. At times these are small day to day bills but at times these are big amounts (as i am not working now) I Want to know if i can claim these bills while filing my return and upto what extend. Since you are retired, you can not claim medical reimbursements (which is Rs 15000 per year). However, you can claim any expenses upto Rs 5000 towards medical checkups (preventive health checkups).